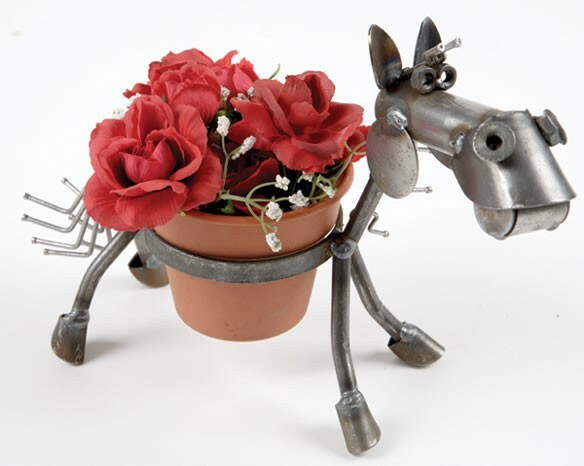 Metal Sculpture Stuart Art Gallery Perfect for Spring flowers or feeding your pet! Handcrafted from scrap & reject washers, steel balls, and diamond floor plate. Ring is approx. 5.5'' from the ground. 4" stainless steel bowl included. 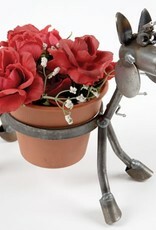 Flower pot not included. All are made in Kentucky with bare metal and naturally rust with age (unless treated).